You don’t have to travel to Taiwan to enjoy some of the most delicious bubble tea in existence. Georgia’s bubble tea scene is popping, offering seemingly infinite flavors and plenty of those amazing tapioca pearls that give it its distinct look. Grab a cup (or two!) at one of these 10 best places for bubble tea in Georgia—you’ll be glad you did. Who knew tea could be this good? This ain’t your typical southern sweet tea, but rather a refined variety of high-quality loose leaf and bubble teas that aim to please. Served up in funky fresh digs, you can also grab a French macaron to pair with your beverage. But the best part is their samplings that let you experience the wonders of bubble tea so you’ll know your best flavor before you buy. This coffee house and bubble tea pitstop has a lot going for it: mocha drinks, chicken nuggets, ice cream, and boba tea all under one roof. You choose your tea base, then decide if you want a milky or fruity variety. They’ve got tons of flavors to choose from, plus all the tapioca pearls or jellies you could want. “Bubble” is in their name for a reason—bubble tea is what they do best! Fans love the good vibes they find here, along with a winning selection of teas that are both unique and satisfying. Their shop is a great place to get a little remote work done while you sip on your favorite tea. The name doesn’t lie—you’ll find great tea here, but most importantly, you can expect only the best bubble tea. Their handcrafted bubble teas are an automatic Instagram snapshot because they look every bit as good as they taste. They’ve added plenty of twists on classic variations to give you a truly unique experience you won’t find anywhere else. 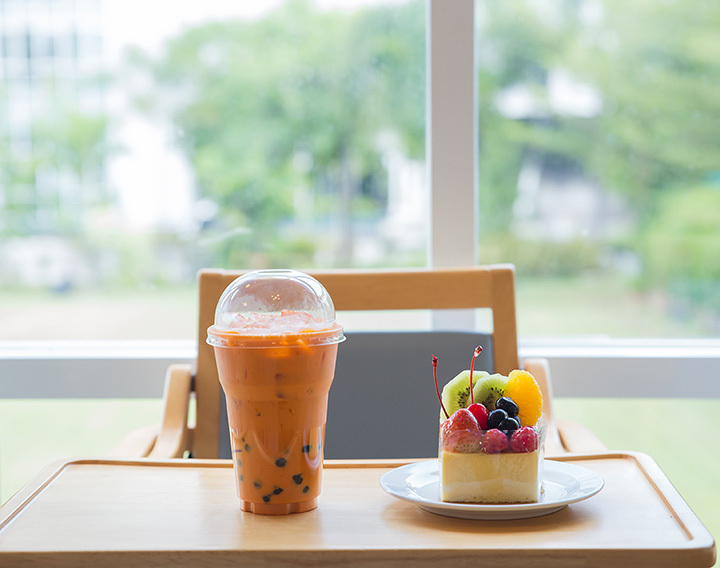 This unique food destination is serving up the best of a lot of things, including bubble tea. Their tea list is quite extensive, offering some of the most popular flavors in milk and green tea varieties to suit any taste. If you’re looking for something a little more offbeat, try one of their lightbulb teas that include all the greatness of bubble tea, but served up in a—you guessed it—lightbulb-style chalice. If you love options, you’ll love the bubble tea menu here. You can choose between milk or fruit, then turn your tea into a smoothie or slushie variety. Either way, you get a heaping serving of pearls or jellies that are sure to please your sweet tooth. Don’t let the name fool you—this place is as real as it gets, no theorizing necessary. Inside you’ll discover a delightful assortment of milk and regular teas: just choose from Jasmine, Black, or Oolong, in either hot or cold, then select a flavor like strawberry, honey, winter melon, or Oreo to complete your order. You can also take your pick of pearls or jellies in several different flavors, so there’s always something new to try here. This multi-location bakery is based in Georgia and offers five locations in the Metro Atlanta area to sate your sweet tooth. Feast your eyes and appetite on high-quality boba teas alongside other East Asian treats. This is the place to go for unique snacks, desserts, and other items you’ve probably never tried before. Equal parts ice cream shop and bubble tea stop, you’ll be glad you can go to a single place to grab them both. Their bubble teas give you a lot of creative wiggle room so you can craft the drink of your dreams, or choose one of their house-made varieties. They also make a mean bubble pop that’s frozen and filled with “bubbles”—you haven’t had anything quite like it. This dessert haven doubles as a bubble tea bar, and you’ll be glad they offer more than just sweet eats. They’re highly skilled in all your favorite flavors and make every cup fresh to order. You can extend your experience by pairing your tea with your favorite rolled ice cream, another Asian treat that’s sure to please.